River-Recovered® antique wood is available in Heart Pine and Heart Cypress. Logged in the 1800’s, this wood has been perfectly preserved in the river habitat for more than 130 years. Legacy (building reclaimed) Heart Pine comes from industrial revolution era warehouse beams that offer more ‘green building’ credits, and a heritage of American history. Sustainably harvested wood is rescued after lightning damage, ecosystem burns or other impacts on the environment. Available species include: Antique Longleaf , Old Florida Heart Pine, Wild Black Cherry. 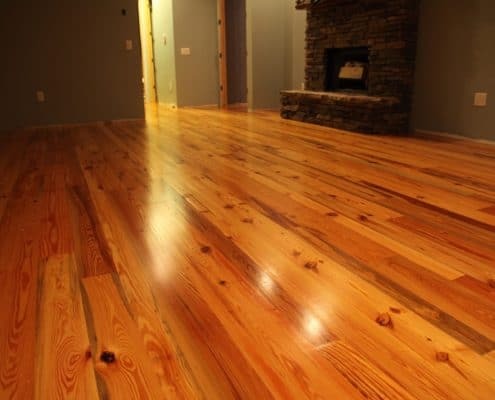 Solid wood flooring or paneling is produced from an antique log or beam in standard widths from 2-1/2” to 9” and is generally nailed to the support surface. 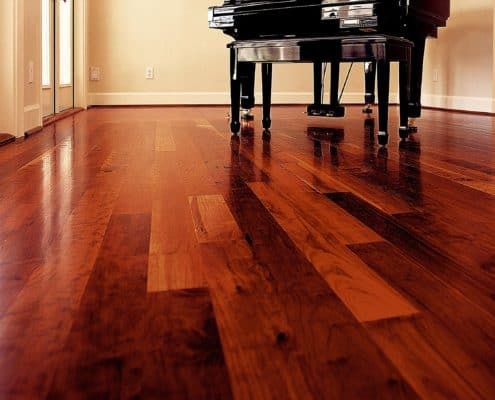 Engineered flooring or paneling is produced with an equivalent wear layer to our solid wood and glued to a backer in standard widths of 3-1/4”, 5-1/4” or 7”. The advantages are that it can be glued to concrete and wider widths are generally a lower cost. Vertical features a pinstriped grain pattern, providing a contemporary or more formal appearance with few knots. Clear grades are even more rare and available for a premium. Select features an arching grain pattern, providing a more traditional or casual appearance with some knots. Clear grades are even more rare and available for a premium. Character provides a more rustic, warm and cozy appearance with a mix of grain patterns and a wide range of natural characteristics. 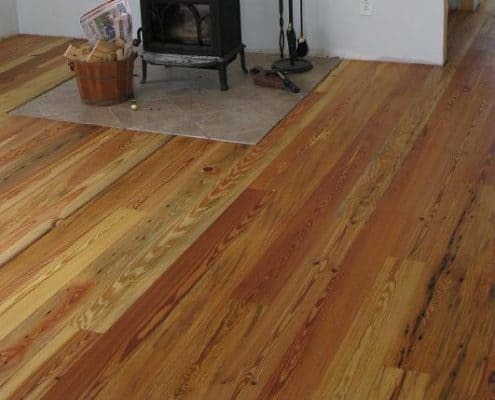 Unfinished wood flooring and paneling is precisely milled; however, requires onsite sanding and finishing after installation. One of our reclaimed wood specialists is ready to work with you. Contact us today. And, be sure to review our list of Recommended Questions Consumers Should Ask Their Wood Flooring Manufacturer.